Hey, how does that work? When referring to the technology that surrounds us the gap between that question and the answer has never been wider. We know how to turn on an iPhone, but beyond that is knowledge that few people can claim. 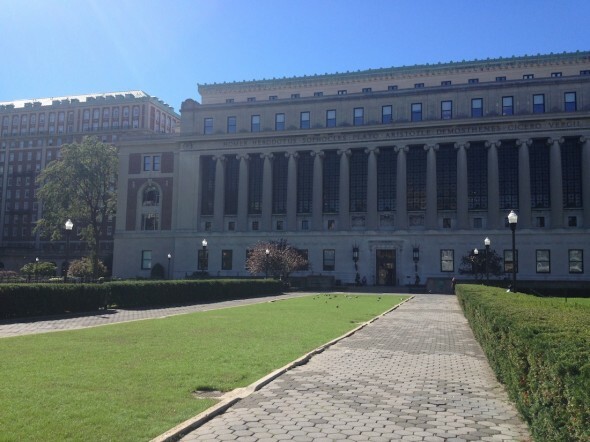 Pictured above: Butler Library at Columbia University. Except of course for the legions of programmers and engineers who are required to create and maintain the ever-expanding universe of what was once tech, and is now ubiquitous. It’s our life. So jumped back to Columbia, Java, still early. Challenging on several levels from balancing family, work and studying to just outright intellectually challenging. This entry was posted by John Pasmore on Sunday, September 30th, 2012 at 6:04 pm	and is filed under New York, Tech. You can follow any responses to this entry through the RSS 2.0 feed.